Manitoba is a called “strength” grain. It comes from Canada, where we took the seed a few years ago, but it is not GMO, so much so that it decreases year after year. We were told that it wouldn’t have grown here; instead, we sowed it and it grows very well, year after year, in our land. 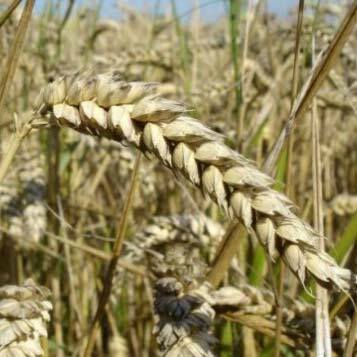 The sowing procedure is similar to wheat seed (it is sown in November and harvested in July). It must be fertilized, as all cereals (with organic fertilizer used in organic farming). Such as wheat, corn is not a covered grain, so it does not need any special processing, except for the sorting and cleaning before grinding. 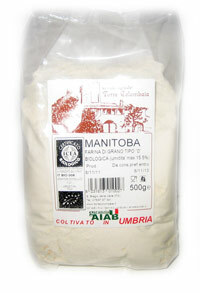 It is used mostly as flour. In the mixtures (for cakes, pizza, bread) a 30% of it, compared to wheat flour, is used. It has the effect of making the mixture rise well (so much so that all pizza makers use it for the pizza dough), having a higher percentage of gluten than wheat. Neapolitans introduced it in Italy in 1944, looking around the kitchens of the American occupation forces in Naples. It is the secret of babà. We must declare that Manitoba is absolutely not indicated for celiac disease and also for those who have slight intolerance to gluten. But for healthy people, once in a while, especially to leave cakes to rise well, you can pretty much use it, without exceeding the stated percentage.